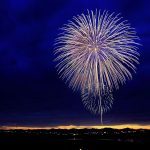 Denver Drain Sewer Cleaning: It’s that time of year again…spring is upon us, and the root systems of trees, bushes, and shrubs are looking for water. 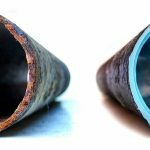 Your sewer line is a great source of water for root systems, and in their quest for H2O, they can create damage or blockage by penetrating your sewer pipe. Protect yourself with preventative drain and sewer line maintenance and inspection by King Rooter & Plumbing. We will inspect your sewer line, clean the lines if needed, and will cut the roots out of your sewer line before they become a bigger and more costly problem. Our sewer prevention package is designed to prevent major repairs such as broken or damaged pipes, sewer and drain back-ups, major sewer excavation, sewer line replacements, or possible flooding in your home. 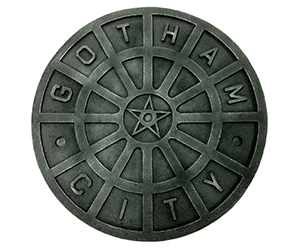 There are warning signs to be aware of that signal your sewer may experience a back-up. (1) Slow drains are a good indication that you need your drain and sewer lines cleaned. (2) Gurgling in the toilet when flushing or any floor drain within the home. (3) Bad sewer odors could suggest that a backed up sewer is imminent. There are two main methods of drain cleaning, and one or the other is recommended depending on the drain problem scenario. Cabling is the traditional drain and sewer line cleaning method. 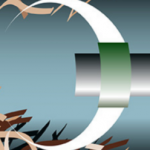 Cabling involves accessing an entry point and running a cable line through the pipe with a cutting blade on the end. The clears tough blockages and cuts roots out. Cabling doesn’t necessarily get all of the roots out, but can be an effective way of maintaining your drain and sewer lines if you are experiencing root blockages. Cabling machines have been around for many years and it is the most cost effective way of cleaning your drain and sewer lines. Cabling is good but jetter is better. 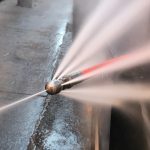 Another method of cleaning out the drain and sewer pipes is Hydro Jetting. 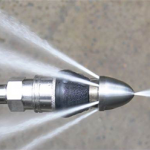 Hydro Jetting or “high pressure water jetting” is a newer technology that does a better job of cleaning the pipes more thoroughly by scouring the walls of the pipe, and getting them 98 percent cleaned in most cases. You can also hydro jet the roots out of the line with a special jetter head called a Warthog. The Warthog is designed to help cut out roots, and goes through tough greasy, sludgy blockages. The Warthog also scours the pipe walls to get them looking like new. Once King Rooter has cleaned out as many roots as possible, our certified drain technicians can run RootX through the drain and sewer lines to help kill any additional roots that may be lingering in your line. 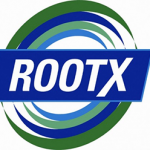 RootX is a powder that foams up and eats away at the roots, similar to weed killers. It is important to use a certified drain plumber when using RootX because the proper doses must be inserted correctly, or it can foam up too much and create a huge mess in your house. Once your drain or sewer line has been properly cleaned we can also perform a sewer video inspection or sewer scope, to make sure everything was thoroughly cleaned and there are no residual problems that could lead to bigger complications in the future. Sewer scopes are a great way to get “peace of mind” and know that your drain and sewer line is in excellent shape and that there will be no potential problems for the future. Sewer video inspections are also recommended when you are purchasing a new home to ensure that there are no major issues with the sewer line. A damaged sewer line that needs major repairs or replacement could cost thousands of dollars, so request that the realtor or homeowner have a sewer video inspection done before closing. We can record the sewer video so you can have a record of the sewer line inspection, and the condition it was in. King Rooter & Plumbing is your Denver drain cleaning professional that can clean any drain or sewer line within your home. 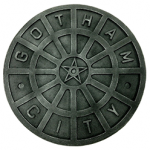 We are professional, clean, on time, and can help with any drain cleaning emergency or preventative maintenance problems. King Rooter & Plumbing has state of the art drain cleaning and sewer inspection equipment, including the latest sewer jetting technology. We offer fast, friendly, clean, quick service that is just a phone call away at 303-949-2593. Call us or submit a request online to schedule drain cleaning service for your home or business, or to receive more information. Call to compare our rates, fast scheduling, and quality of service. Our Denver Drain Sewer Cleaning service experts are ready to solve your drain and sewer line problems in Aurora, Arvada, Boulder, Brighton, Broomfield, Centennial, Commerce City, Denver, Englewood, Frederick, Firestone, Golden, Glendale, Highlands Ranch, Lafayette, Lakewood, Littleton, Longmont, Lone Tree, Louisville, Northglenn, Parker, Thornton, Westminster, Wheat Ridge, CO. Our drain cleaning services come with a 100% satisfaction guarantee. Call today for a free estimate. We look forward to working with you!